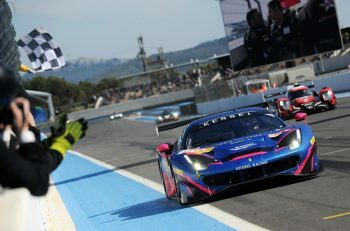 Jim Glickenhaus will have company this year as he and the Scuderia Glickenhaus team contests some of the world’s most heralded Pro-Am endurance events as a two-car effort. And if current discussions with at least one professional sanctioning body come to fruition, his brand-new SCG003 chassis could be seen at an even bigger venue in 2016. With a sharp eye for personalized automotive designs, Glickenhaus (below left) built a loyal group of followers in the racing world after his Ferrari-based P4/5 Competizione made its debut at the Nurburgring 24 Hours in 2011. 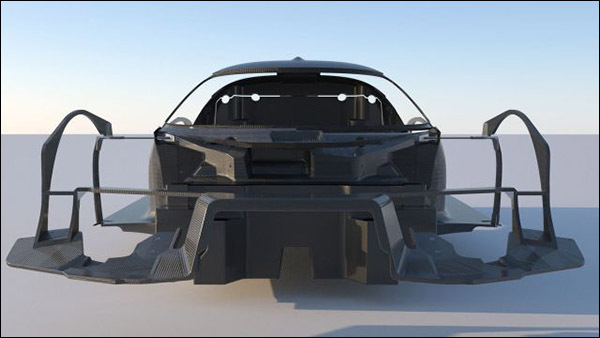 His next project moved the bar from modifying an existing chassis to commissioning a clean sheet design, the SCG003, that broke cover last year. The concept for the SCG003 conforms to an old design ethos where owners could drive their machines to the circuit, compete, and return home in the same vehicle. “The journey started for me when I moved from collecting pieces of history, to using them and then thinking about what elements in them worked or didn’t work when it came to driving,” Glickenhaus told Marshall Pruett. “How do you turn a road car into a racecar? Glickenhaus broke new ground with the P4/5, and from that extensive transformation, a more ambitious plan was slowly hatched. SCG would need to make the giant leap into the realm of sports car constructors, and began evaluating their options to produce an original design. 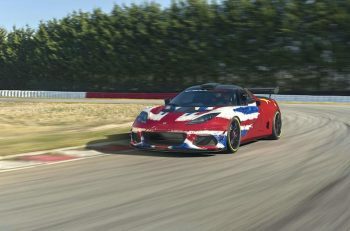 The road version of the P4/5 was followed by the P4/5 Competizione using a Ferrari F430 Scuderia chassis and the running gear from its GT2 counterpart. Glickenhaus enjoyed using base ingredients from other manufacturers and adding his touches. The idea to move away from that process, as he explains, took more time to solidify. 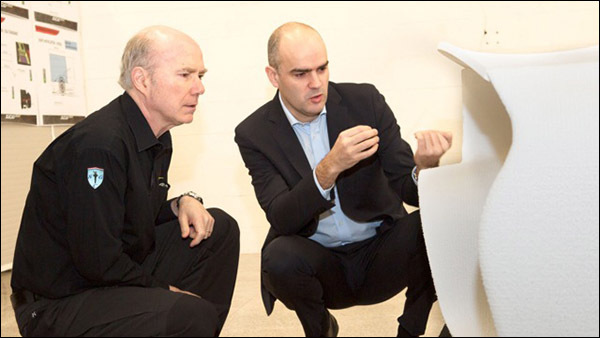 Glickenhaus gave his program manager Paolo Garella a quick brief of what he was looking for after the P4/5C project ran its course. One more attempt at working with an auto manufacturer was also made before SCG committed to going solo. “I told Paolo the last thing I wanted was something like the Bugatti or the Koenigsegg that had 1,000hp and weighed 4,000 pounds,” he explained. “I didn’t want some behemoth that required excessive power to make up for its extreme weight. I wanted a more basic design; lightweight, reasonable horsepower, not a lot of electronics – a great little sports car that we can use as a racecar. We tried to look at other partnerships. A visit to a familiar carbon fiber chassis constructor pointed Glickenhaus in another fascinating direction. SCG then recruited Paolo Catone, whose Peugeot 908 HDI FAP won the 24 Hours of Le Mans in 2009. Before long, he was crafting a carbon fiber chassis to house a twin-turbo V6. The SCG003 would be a GT car in name, but a prototype in spirit and form. Glickenhaus also brought in one of the designers from Pininfarina, and from there, the project took off. Sourcing an engine was next, and while Glickenhaus prefers to keep its source private, other reports have suggested it hails from a Japanese manufacturer with recent prototype experience. 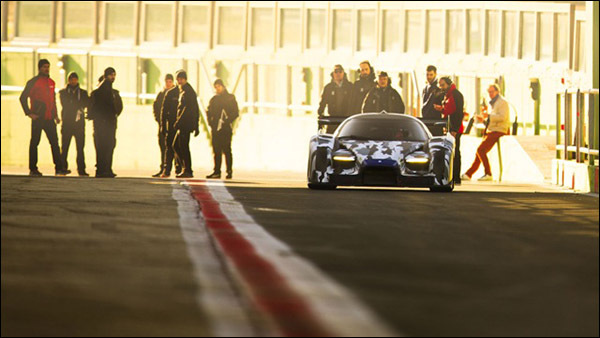 With the chassis, engine, and aerodynamics in place, the first SCG003 chassis began testing late in 2014. Inevitable new-car issues were experienced, most notably in the engine management system, but those have largely been resolved. 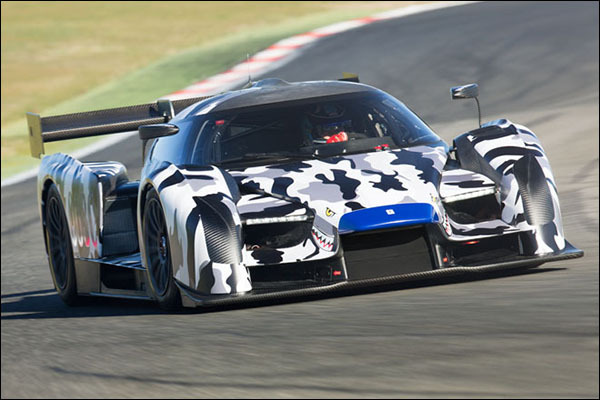 Glickenhaus expressed his desire to race the SCG003 at Le Mans when the car was launched, and while that initiative could take a few years to incubate, he hopes to use the team’s racing endeavors in 2015 as a roadmap to bigger things. Next up for SCG is a test at the Aragon circuit in Spain, and they will also conduct official tire testing with Dunlop. 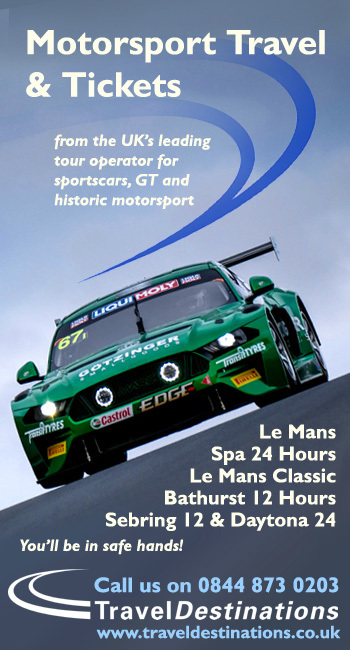 Aragon should see the debut of SCG’s newest driver, Marino Franchitti, who signed with the team this week. He’ll partner with Glickenhaus, and fellow TUDOR Championship race-winning driver Jeff Westphal has signed to drive the second SCG003 with Ruud. Thus the Scuderia has rapidly transformed from a small band of outsiders to an emerging program packed with impressive ammunition. With a clear goal toward graduating to pro racing next year, Glickenhaus closed the conversation with a glimpse into SCG’s upcoming public debut at the Geneva Auto Show on March 5.